Skip to the bottom to enter giveaway! 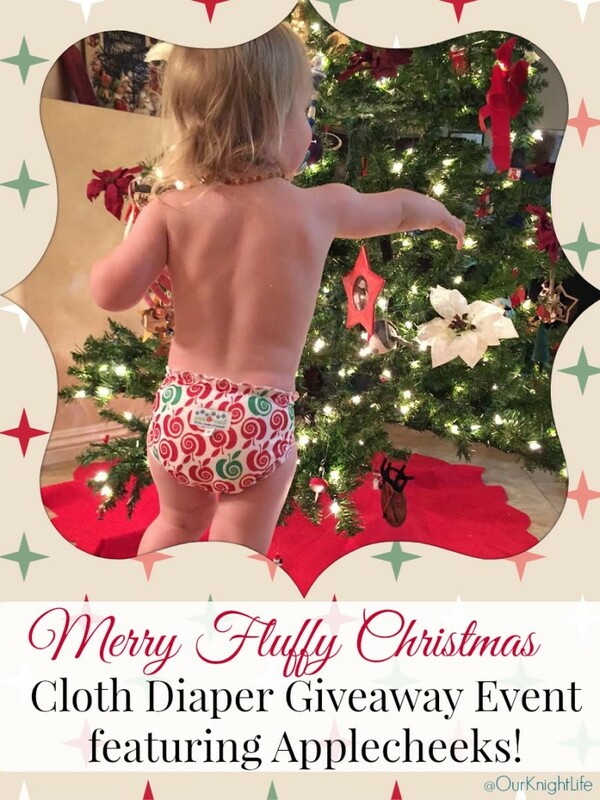 This year my amazing sponsor is Applecheeks Cloth Diapers. If you follow me on Instagram you know that 95% (maybe more) of my cloth diaper stash is made up of Applecheeks. We started using them when Baby D was about 4-5 months old, and I never looked back! When it comes to baby gear I love trying new things, but when it comes to cloth diapers I firmly believe that when you find a diaper that works for your family, doesn’t have leak issues, and is ridiculously cute (I mean come on – those leg ruffles?!?!) you stick with it! I’ve blogged about my Applecheeks before, and even did a video review on how their system works. If you are new to cloth diapering or haven’t heard of Applecheeks yet, check out my reviews to see how their system works and why we love them. Applecheeks come in 2 sizes and many different colors/prints. This is a picture from a fellow Applecheeks mama so you can check out the colors. Her stash is AMAZING! * Color of choice is for regular line up only, not limited editions or special holiday prints. Photo Credit – Cute baby NOT included. That’s 2 packages with 2 winners! Open to US/CAN! 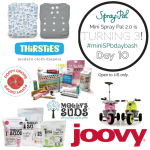 There are over 20 blogs that are giving away cloth diapering prize packages $50 and more! Make sure you enter here and then hop to all the others!! There are hundreds in fluffy prizes to be won! This year, there are also two HUGE Grand Prize packages, on both of the host blogs, And Then There Were 5 and Mommy’s Favorite Things! So make sure you enter to win those as well! Good luck! For our toddler, it has always been two padded prefolds and a cover. Or a fitted and a cover. For our infant, who is about to be 6 months, a fitted and cover, or AIO. We are currently using honest diapers for night time. Just put my little bit to bed in Applecheeks Riptide – so cute! I love it and i love applecheeks! for our nighttime diaper , we use applecheeks bamboo 3ply and a size 1 applecheeks cover. Not a leak yet!!! A size 2 AC with a 2ply AC bamboo insert, an AC stay dry boster and cbi. I am still working on a nighttime solution. Right now is a pocket with a bamboo blend for my youngest and a pocket with a cbi and bamboo booster wrapped in a fst or disposable got my oldest. We currently use disposables at night. We haven’t found a comfortable cloth combo at night. 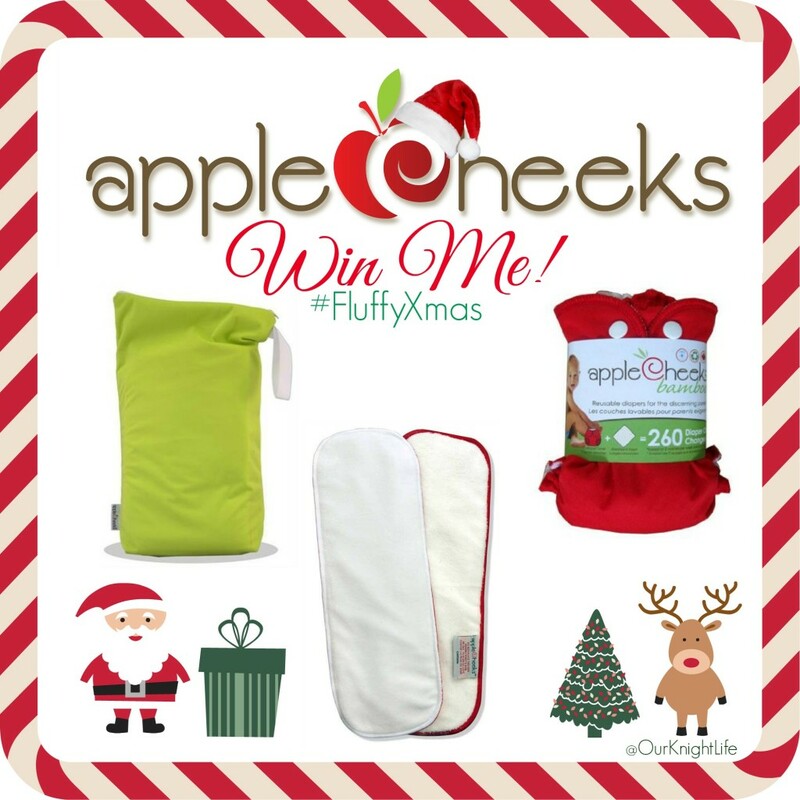 What an awesome giveaway – I’m new to Applecheeks and would love to add these great items to my growing stash! We are currently using Sloomb fitteds and covers. We currently use kawaii goodnight heavy wetters at night time! AppleCheeks! Stuffed with a prefold and microfiber. Our night time diapers is a Bummis Dimple Diaper. Love it! Our nighttime diaper is always an AppleCheeks, stuffed with a 3 ply bamboo and hemp booster! Tailfeathers (local to Oklahoma City) fitted and Applecheeks cover! Right now I use disposables on my 4 month old because he pees through everything… I’m hoping to find a better solution soon! No nightime diapers for us right now but we are expecting our 3rd baby and I think the AppleCheeks diapers would be perfect! Very new to clothe diapering so I have only been brave for the last 3 nights. I have put her in BG 4.0’s and so far just damp PJ’s when she wakes. She sleeps 10 hours a night & only 10 weeks old so I’m looking for something better for when she wets more. I just ordered my 1st AppleCheeks this weekend so anxiously awaiting its arrival!!! We use Sunbaby diapers with a bamboo blend and microfiber insert at night. We’re not using diapers yet! Right now I’m using disposables at night (gasp!) since I haven’t found a diaper that works at night for my little one. We will find out soon! We are only expecting right now, but I hear great things about wool and fitteds, so we are grabbing a few beforehand to have! Right now whatever diaper is on the top of the pile if we cant find our Kawaii good night heavy wetter. Right now for my 1 year old daughter we use BG FT’s, for my son a cover and prefold along with a bamboo insert. Sloomb OBF XL or a Goodmama toddler XL prefold with a Blueberry Coverall.22m. ds. we use disposables at night! We have resigned to using disposables at night due to huge toddler pee and fighting ammonia in night cloth. We use disposables at night; we just haven’t found the right solution yet. right now my only child is out of diapers, but our LO due in March will be exclusively Applecheeks! Baby isn’t here yet. Baby is due in early May! Any suggestions? My little one hasn’t arrived yet so we don’t have a night diaper. we use prefolds and hemp in covers. I just started getting into applecheeks a few weeks ago and I am already in love! I only have covers so far! We use cloth diapers during the day and a disposable at night. This was the compromise my husband and I made. No routine as baby isn’t here yet. Will probably use fitted and cover. We are in disposables at night right now cause my son gets a rash in cloth. But for cloth we use an AC stuffed with 2 2ply’s. Still playing with night time diapers. Last thing I tried was a Softbums omni stuffed with a Geffen prefold. I want to try Applecheeks as they are one of my favorite brands but I think I might need a size 2 for that. Our baby isn’t here yet, so I don’t have a favorite night time diaper right now. I am loving all the suggestions in your comments! We use disposables at night 🙁 My girl pees through her cloth when I leave her that long .. and lately she is even leaking through her disposables! Might need to up the size again ..
sadly we are using disposables at night, but im hoping to try a few new options to get back into cloth diapering at night time too. We are currently on a break from diapers (woohoo) with my 3yo being recently night potty trained and our baby due in FEbruary. Previous to that though, my son wore bumgenius 4.0s with a hemp insert. No nighttime diapers for us. This would be for my sister’s newest baby. We currently use a Thirsties Duo Wrap with a prefold and insert for night time. I don’t yet have a baby but love the idea of Maman Loup’s night time sandwich for overnight cloth diapering. My little one hasn’t arrived yet– so no nighttime solution yet. We have been using a hemp prefold wrapped around a bamboo insert inside an applecheeks size 2. We use Earth’s Best disposables at night. I use disposables, Pampers Baby dry, at night. It’s the right thing for our family, since my little guy was getting diaper rash from staying in cloth all night, no matter what I tried. We gave up on cloth at night and use disposable. 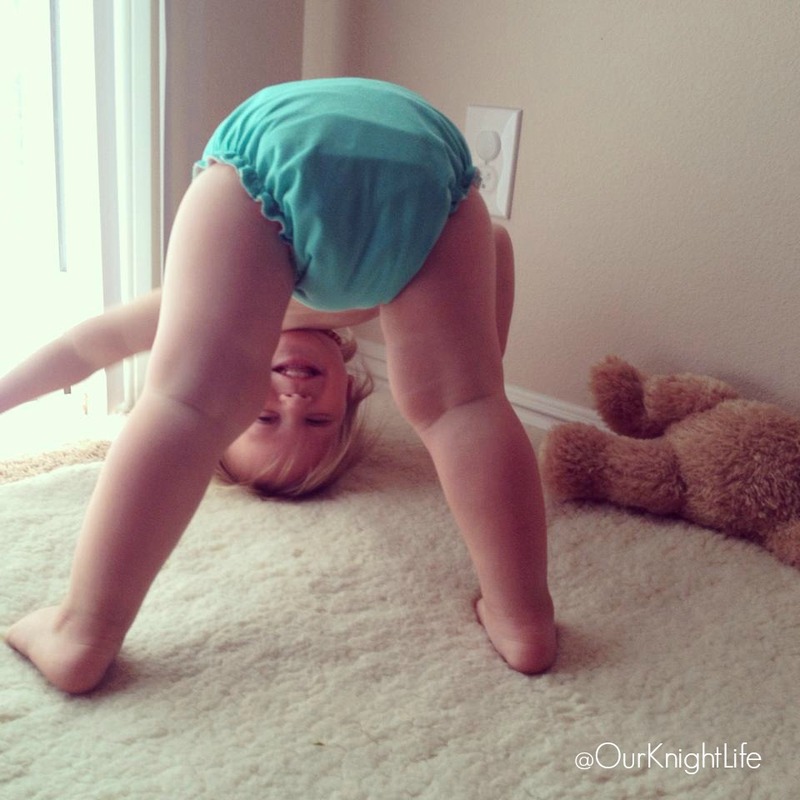 We use organic disposables, but I really want to try cloth diapers! We are using sbish multi fitteds or wham fitteds with disana wool covers! It usually works great! We use disposables. All my kids got yeast issues at night in cloth. Expecting our first in a week or so! Planning to exclusively cloth diaper with prefolds and covers. I don’t have my baby yet, but I plan to try Kawaii Goodnight Heavy Wetter diapers for night time. Wish me luck! love it!! Right now our night time diaper is a sposie for Shelby as she only wears them at night. I would love to win this for the new baby. My little guy is rash prone and sleeps 12 hours straight, so we use disposables at night for now. We use a bububebe sleepytime fitted and a cover or wool longies. We never had a great solution but two prefolds and a cover seemed to work best. We always expected a bit of leakage. My daughter is due soon and wants to try cloth diapers. My other grandkids are currently using disposables. We use sloomb fitteds and wool for overnight. Right now we use either a Babykicks hemp prefold with an extra booster in it covered with a Bummis pull on nylon cover covered by wool, or a disposable. Our night time diaper is a BumGenius Freetime or 4.0 double stuffed. My 1 year old is in a double stuffed SunBaby at night, my four week old is in a cover given to me by a friend with a regular prefold. I don’t have any yet, just getting started, can’t wait! Baby isn’t here yet, so I’m not sure what we’ll use at night! Right now our nighttime diaper is disposables…and he even leaks out of those. So we are working on finding a better nighttime solution! For DS (2yr) I use a Grovia prefold & AC 2ply in an AC size 2. For DD (7mon) I use just the Grovia prefold in an AC size 2. I’ve been very blessed with being able to use the same prefold or flat in a cover that we use during the day – so far anyhow! I typically do a BG 4.0 stuffed with the newborn MF insert and Thirsties hemp. I tried doing Sbish fitted in a cover, but my little lady is too squirmy and impatient for that! We use a bum genius 4.0 with an extra hemp insert at night. Currently my nighttime solution is using a wahm hybrid fitted or a bumgenius freetime. I use bumgenius freetime, but i have to change the diaper after 5-6 hours. We used a fitted diaper, extra insert, and cover for overnights. I have a heavy wetter! Our nighttime diaper is whatever LO is wearing. Most mornings, she wakes up dry, has since she was itty bitty. I’m sure this will last until the precise moment we decide to potty train! I will be having a baby in about a month and I’m planning to use Fuzzibunz pockets at night. We currently use a disposable…baby gets a rash in a fitted, and is a side sleeper so pockets don’t work. We just finished up night training but my friend is due soon and will be using cloth! We don’t have a nighttime cloth diaper right now, as we haven’t welcomed our little one yet! I plan on trying several different kinds, though, as it seems every baby is different! We also use disposables at night. I’d like to try some hemp though and see if that works. We use a Charlie Banana one size with the two inserts that come with the diaper plus one additional insert (either hemp or mircoboo). So far at 15 months we have had no leaks!! My night time diaper right now is a thirsties duo cover with a thirsties hemp prefold! Kawaii GNHW with a Hemp Babies insert and a Geffen Baby insert for extra insurance. Haven’t found our perfect night time fix yet. Right now, we are using fuzzibuns pockets with a microfiber and a hemp doubler. We use an organic Indian cotton prefold with either a Thirsties or Blueberry Capri cover. Change once during the night. Right now we’re using disposables, but we’re working on switching to a cloth alternative. 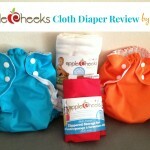 We are new to cloth diapering and would love to give Applecheeks a try! My preschooler is out of diapers but wears disposables at night. She used to wear Sbish OBF fitteds or some homemade bamboo fitteds with a Thirsties duo wrap. Baby #2 hasn’t arrived yet, so I’m not sure what will work when they come. Our night time diaper is a sloomb obf with sloomb longies. Works great. We’re currently using disposables at night with our singleton. I should probably give cloth a try but have a little nighttime cloth PTSD from my twins! We could never find a solution that worked. Baby uses BG 4.0 stuffed with Flip overnight prefold and hemp doubler. 3yr old wears undies, yay! 5 yr old still wears a Flip trainer stuffed with a bamboo flat and doubler (either hemp or bamboo). disposables because i can’t find a good cloth nighttime option! i’d love to try applecheeks! Disposables still, haven’t started cloth at night yet-nervous & still researching. My nighttime diaper is a Kawaii Goodnight Heavy Wetter. Right now for night time we use a prefold and a cover. But are switching to hybrid fitteds. Our current nighttime diaper are huggies disposables. We were able to night time diaper until Little Z was about 7 months, but since then we’ve had to use disposables–baby’s skin is just too sensitive for the inevitable nighttime ammonia. We use either a bumgenius 4.0 or Thirsties One Size pocket with one microber and one hemp insert. Trim and so far no leaks. I am hoping to win this for my daughter who has 2 under the age of 2 and uses cloth diapers. I don’t know what she uses at night but I know she doubles up on them sometimes. Right now for bedtime we use a Flip cover with a FST wrapped around a Thirsties Duo Fab Doubler and a Applecheeks stay dry liner/doubler on top! Our little is 8 months old and we never have leaks. I am currently pregnant with my first child, so I’m not using cloth diapers yet! I look forward to it, though! We use S’bish fitted diapers with a Thirsties Duo Wrap for overnight. (Applecheeks are great for the day, but we haven’t had much luck with any pocket diapers overnight). We use a bamboo prefold with a hemp insert. I had to use disposables for night time because my son’s skin is so sensitive to moisture. I couldn’t find anything cloth that would wick away well enough. Our night time routine is non-existent right now because both of my kids are out of diapers. But I am 37 weeks pregnant with number 3 and he is due on December 27th. So I will be starting back up with him. I really like the one AppleCheeks diaper I have. I would love to get some more for his little bum. Thanks for the chance. My first baby is due this spring so I don’t have a nighttime diaper. I am planning on prefolds and covers in the beginning since you feed and change so frequently. After that I’m thinking fitteds and covers. We use Kawaii pockets for night! Right now we use a pocket double stuffed with bamboo and hemp for nights, but we badly need a new solution for our heavy wetter. We haven’t started cloth diapering yet. A bG 4.0 with both inserts and a hemp booster. We use disposable on my 6 month old and a bum genius stuffed with a microfiber and hemp insert on my 2.5 year old. Our little guy isn’t sleeping very long at night yet so our night time diaper is usually the same as during the day – a pocket (Applecheeks or Fuzzibunz) with microfibre insert or cotton prefold. Right now our night time diaper us a bumgenius freetime with a hemp babies laid in under the flaps of the diaper. So good so far but if that doesn’t work the next step is fitted and wool. Little one is not here yet. But the majority of my cloth diapers are BumGenius 4.0. We used a Nifty Nappy fitted with a wool cover. Never had any leaks! For my older girl – Grovia prefold size 2 with small thirsties hemp inside, fleece liner and grovia cover. For the newborn – sposies overnight so its easier to change him! We LOVE LOVE LOVE the Crunchy Love Co Snoozies!!!! they hold in what a disposable can’t! 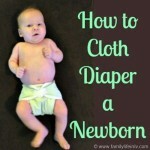 Currently we use Pampers because we are brand new to cloth diapering! I have a newborn on the way and we are trying to build up a stash and get some cloth pull ups for our toddler, this would sure help! My son is using disposables right now with his 5 month old but with another one on the way, they are planning on switching to cloth. No nighttime diaper yet. Baby arrives in March. Right now it’s disposables. Nothing else has worked so far! Our nighttime diaper right now is a TotsBots AIO because my son is staying dry most nights at this point. We’ve mostly used Thirsties fitteds and covers for overnight use. No night time diaper yet as baby isnt here yet, but I did buy some Kawaii heavy wetter, and I hear applecheeks are great! I ordered a few, and I already love them! homemade prefitteds under wool right now for both my littles. they seem to hold the most! We are currently using BumGenius 4.0 with hemp insert and newborn insert at night. Working pretty well so far. We are using Nuggles Naturals at night time. Love them. My night time diaper right now is Rumparoos or AMP Duo with an AMP hemp trifold and a bamboo booster. BumGenius 4.0 with a extra hemp insert! never fails!! I trifold a Geffen Baby flat into a pocket! I double stuff any diaper for nights. She is still pretty little. We use sposies at night. Too many ammonia problems with cloth and our toddler.